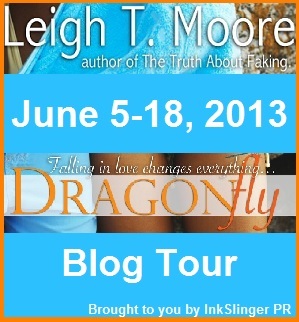 Leigh Talbert Moore, Author: Who Likes Dragonfly? "Five of Five stars! HOLY MOTHER OF PEARL! From the first page I was captivated by Dragonfly because it is a read like no other. There are so many twists and turns and secrets that with every page turn I was jumping for joy because I needed to get my mind wrapped around everything that was happening." "A bit of everything: teen angst, drama, romance (a bit of a love triangle), and intrigue... the mystery behind the Kyser family and then Julian's mom is what really intrigued me." Book Addicts AA (link) did a FAB Review with Dream Cast that I absolutely LOVE. Asheley with Into the Hall of Books (link)--wrote a funny, gushy review about setting and perfectly written love triangles (aww, shucks). And I'd love to know what YOU think! If you like my books (or any author's books), consider leaving a review on Amazon and/or Goodreads! Great reviews really help us! Congrats, Leigh! The name along, Dragonfly, is pure genius. Congrats, Leigh! Hope this book is a huge success! !